Although many new smartphones offer waterproofing as standard, they’re not of a standard whereby they could be taken deep underwater for the purpose of, say, snapping photos or capturing videos. 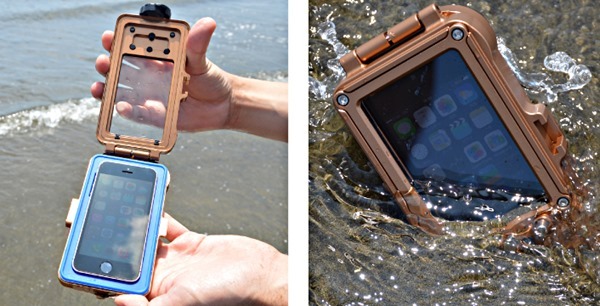 However, despite the fact that the Apple iPhone lags behind the likes of the Samsung Galaxy S5 in the waterproofing stakes, one third-party accessory maker has come through with a waterproof case that, incredibly, remains semi-functional even when the user is some 300ft below the surface. 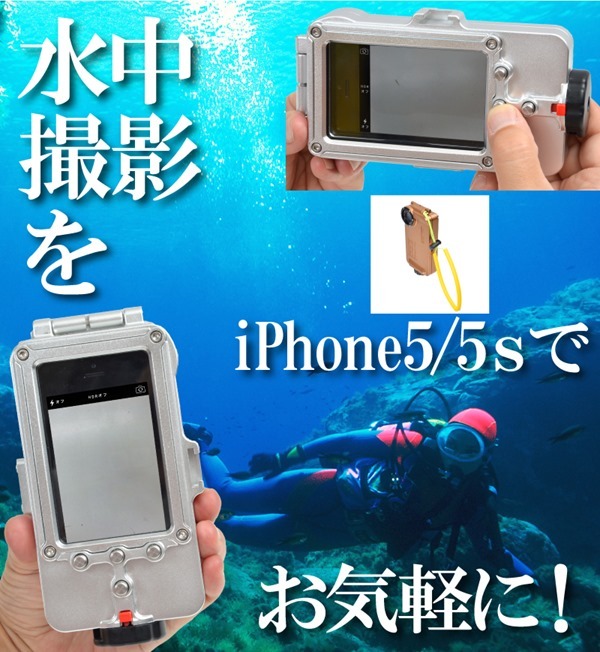 As you’d imagine, it’s quite a bit bulkier than your typical iPhone case, but it’s the perfect acquisition for those looking to take snaps and selfies no matter what the climate is, and if you’re a deep sea diver accustomed to taking specialist equipment down with you for the purpose of filming, then you’ll surely want to check out this sizeable accessory from Japanese retailer Thanko. Even though, as I mentioned earlier, some high-end smartphones offer waterproof technologies right off the bat, these are not consistent with the act of plunging into the sea at depths in excess of 300ft. Sure, you could, for the most part, get away with jumping into a swimming pool with a handset like the Galaxy S5 in your pocket, but given that the water pressure increases significantly as you venture deeper into the sea, your water-resistant smartphone would more than likely succumb to the harsher elements. The fact that it’s incredibly bulky may be seen by many as a drawback, but given that its comprised of milled aluminum, its weightiness shouldn’t come as much of a surprise. However the cost, at $300, is a little bit more than we’re willing to pay for a case of any description here at Redmond Pie, so unless you are an avid scuba diver, you mightn’t see this intriguing, well-built product as a justifiable purchase. The other downside is that, although you can use the iPhone’s camera functionality, you don’t actually have access to the touch-screen. The case includes a couple of touch-sensitive buttons enabling you to access the shutter for the purpose of capturing your escapades, but even so, we’d love to have seen fully-fledged, unadulterated iPhone functionality at such depths. For more information and to purchase, head over to: thanko.jp/product/6707.html and be sure to leave your thoughts with us below.